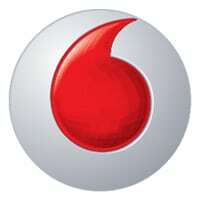 Mobile network operator Vodafone‘s NFC mobile wallet is going live today in Spain, will be available in Germany in mid-December and expand to the Netherlands, UK and Italy in spring 2014. Vodafone Wallet works with a range of NFC phones as well as with NFC tags that can be used by customers with other smartphones and feature phones. “Vodafone’s mobile wallet is the first European mobile payment service built on the GlobalPlatform open standard,” the carrier says, “which makes it easy for organisations, including banks, retailers and transport companies to host services in the wallet. The first mobile payment app available in the Vodafone Wallet is Vodafone SmartPass, a prepaid account delivered in partnership with Visa. “Vodafone SmartPass can be funded when needed and enables customers to pay for goods with their smartphone at any Visa contactless payment terminal in retailers around the world, including more than 1.2m in Europe,” the carrier says. “Vodafone SmartPass allows customers to transfer funds to their mobile phone regardless of which bank they use, making it simple for them to make payments at any location with a Visa contactless terminal without getting their wallet or purse out. Customers can also check their balance, make higher-value purchases of more than £20/€25 (limits vary by country) securely using a PIN as well as transfer funds securely to other SmartPass users. A SmartPass Tag will also be available for customers without a compatible NFC phone. Customers with a smartphone will be able to download the Vodafone SmartPass app and apply for an NFC tag that can be attached to their device. They will then be able to top up their account via the Vodafone SmartPass App and pay by tapping their phone at a point of sale. Customers with a feature phone can also use the tag but will need to fund the account via a Vodafone website. I have a samsung alpha it has nfc built in. Do I also need to attach tag to my phone.